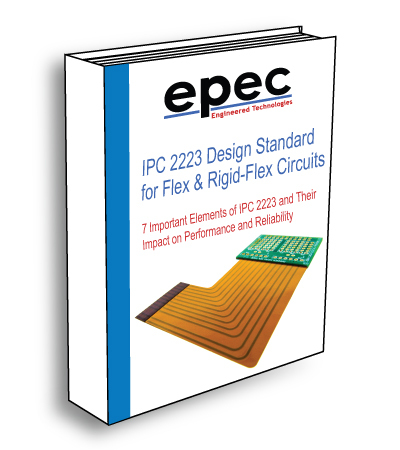 Our flex and rigid-flex circuit board solutions are custom designed for many top tier OEMs. Manufactured with dependable reliability, our flexible circuits are built to withstand the rigors of aerospace, medical, and military applications. As a high reliability replacement for wire and wire harness assemblies, flex circuits provide a significant cost savings with no reduction in performance. When it comes to our flex and rigid-flex products, we offer a variety of cost effective solutions and capabilities that include single or double sided circuitry to higher technology multilayer designs up to 6 layers. From selecting the best functional configuration, to choosing the proper connectors or components, we will help you meet or exceed all your applications requirments. Our flex and rigid-flex PCBs are manufactured for various applications in the medical, military, aerospace, and portable devices industries. See the video recording of this webinar here. Our engineering team can assist you from early design stages of your application all the way to end product production for all your flex and rigid-flex circuit needs. The flex and rigid-flex manufacturing process is inherently more complex with more process steps than those found in a rigid PCB of similar technology. Join us for this webinar where we will review the many areas of flex and rigid-flex designs that can impact how streamlined a design is for production.